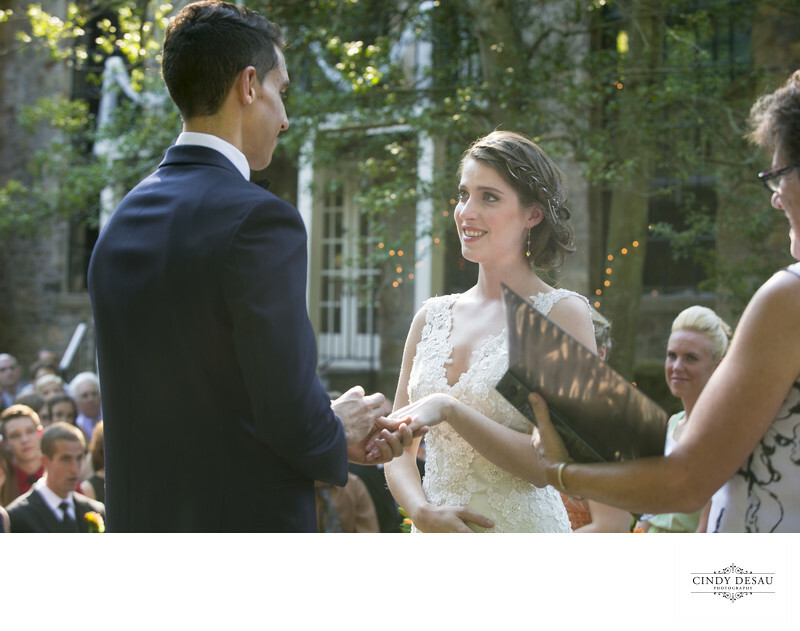 During this outdoor wedding ceremony on the courtyard at Holly Hedge Estate, I saw this bride’s eyes well up with tears. The groom smiled, placing the ring on his bride’s finger. My approach to my wedding coverage is to document and shoot a lot, though unobtrusively. My many years as a news photojournalist have prepared me for unrivaled documentary wedding coverage for my clients.